Sustainability in schools - are you ready? Please enjoy our February ACSSO News. As we get used to the familiar routine of the school year and the memory of the summer holidays starts to fade it’s sometimes good to look at our own school activities and the reason why our children are there, and what they are learning, and how we as parents can support this at home. The Australian Curriculum, Assessment and Reporting Authority (ACARA) has produced a parent friendly version of the Australian Curriculum in a handy downloadable PDF format. It’s presented in a straightforward and visual way that aids easy understanding – it will be a useful tool if you would like to know what your children are learning and a great conversation starter with your child’s teacher. They are here in the various year bandings and can easily be incorporated into your school’s communication app or website so as to make it readily available to your school community. Parental engagement in appreciating the value of learning is one of the crucial advantages that we can give to our children, as is developing their interest in a range of extra-curricular activities. Occasionally there are programmes that cover this with a welcome overlap into formal classroom activities. Thinking of the future leads into considering sustainability. ACSSO is a member of the Australian Education for Sustainability Alliance (AESA). The key part of AESA’s work has been looking into pathways for making education for sustainability more accessible for teachers and students. The result is a newly completed website called ‘Getting Started with Sustainability in Schools’ www.sustainabilityinschools.edu.au. 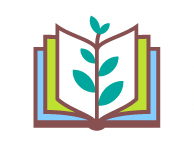 It’s a portal of easily accessible resources and case study examples linking sustainability with everyday teaching practice. 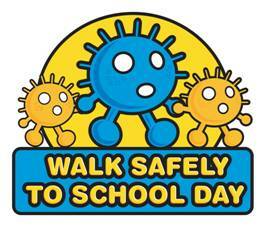 Please feel free to explore the website (there's more information in an article below) and encourage your child’s teacher to use it. Once again the Safe Schools Coalition Australia (SSCA) appears to be under organised and vitriolic attack from those that should be said to define the values of tolerance and acceptance – an irony that is not lost on ACSSO. The Prime Minister has now initiated a review of the programme that will give the opportunity for an objective appraisal of its efficacy – an opportunity that can be welcomed. Australian Government schools are the backstop of open and inclusive educational opportunities for all – regardless of culture, history, gender orientation, expectations and level of income. At a school level the Government funded SSCA programme is an entirely voluntary program in the absolute control of the Principal and their staff team to decide what level of delivery is appropriate for their school and its students. ACSSO fully supports the programme and its wider benefits in defining public education as a champion of inclusivity, acceptance, welcome and safety for all as an indisputable part of our authentic Australian values. With growing talk around election issues and political machinations can I ask you to consider your family’s education priorities. Whilst they are fresh in your mind please go to our new look website www.acsso.org.au and send them in to us on the ‘Have a say’ link. Wishing you all the very best for the start of autumn and the necessarily cooler nights to come. Generation Next is a not-for-profit organisation tackling the social, cultural and economic factors impacting on young people. Working with mental health professionals, teachers, youth/social workers, parents and organisations, we raise awareness about issues affecting the mental health of children and young people and provide practically relevant information and strategies. Topics covered include respectful relationships, resilience skills, drug and alcohol trends, self-harm, radicalisation, racism and identity-based bullying, cybersafety and much more! 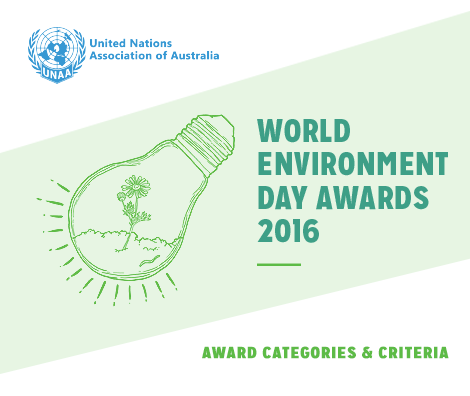 Each year on United Nations World Environment Day (June 5) the United Nations Association of Australia seeks to focus world attention on the environment, particularly on innovative programs that protect and restore our world’s natural heritage, through its World Environment Day Awards. The Awards recognise the environmental achievements of individuals, community groups, local councils, schools, businesses and the media. The Australian Education for Sustainability Alliance (AESA) is an alliance of organisations in the education, union, youth and environment sectors that want all Australians to have access to the skills, practices and values of sustainability. In 2015, AESA surveyed more than 5,000 teachers, curriculum coordinators and principals from government and non-government schools across the country, to find out how best to help. More than 90 per cent agreed that sustainability is important, of value to students, and should be integrated into the curriculum. A further 60 per cent said they were interested in including sustainability into their teaching – but asked for assistance to kick start sustainability teaching at their school. Essentially, teachers asked for a getting started guide. AESA created the Getting Started with Sustainability in Schools website in response to these needs. It is a portal to direct teachers to high quality education resources, contains case studies focused on how to create change, and information on how to link it all back to the curriculum – in an accessible, direct way. The resource is also of considerable value for the Australian Professional Standards for Teachers, in particular Standard 6 Professional engagement, at all career stages. Perth writer, mother and Jolimont P&C member, Shannon Meyerkort, has started a new national website aimed at helping parents who are looking for fundraising ideas: www.fundraisingmums.com.au. This is not a commercial website but a source of free advice and inspiration for parent organisations looking for ways to raise money for their children's schools.